LiveControl for the Monome allows full control of Ableton Live using your monome. It supports monome 64, 128, 256 and 512 and includes a number of programs. It is also part of my ongoing project to integrate an arduinome 128 with LCD displays to allow control of Ableton Live without a monitor. Will this work for live 7? for mac only for live 8? but I need use max4live? 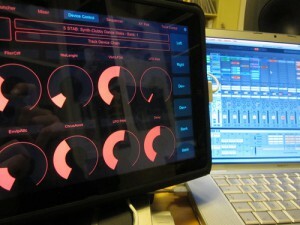 with this cool software I can use my monome like a apc40 or a launchpad…right? by the way is possible to move only up and down, or is possible left and right too? Looking forward to the opportunity to try this out. It could be GREAT native implementation from your app! please how can i make this work with live 9.7?